(Natural News) Every year, more people suffer from Alzheimer’s disease and other forms of dementia – it is estimated that sufferers will reach 42 million by the year 2020. In a study published in the Journal of Medicinal Food, Malaysian researchers suggest that edible and medicinal mushrooms can be used to nourish the brain and halt the progress of neurodegenerative diseases. It’s hard to believe that until around the year 1800, life expectancy in Europe was only between 30 and 40 years of age. It wasn’t too different in other parts of the globe either. Better knowledge on human health has nearly tripled this figure – American men currently have a life expectancy of 78.7 years, several notches lower than that for American women, which is 81 years. But this rise in lifespan also means that more people are now suffering from diseases common only to elderly people. Dementia and its most common form, Alzheimer’s disease (AD), has a high risk of affecting anyone older than 60 years old. The World Health Organization (WHO) estimates that 10 million new cases of dementia are recorded every year. As with most health conditions today, there are chemical medications specially formulated to slow down the progress of AD and dementia. However, they tend to have short-lived benefits and their side effects alone could fill an entirely new article. Therefore, scientists are always on the lookout for natural options to impede the development of neurodegenerative disorders. Mushrooms have been used by humans as a source of nutrition and medicinal compounds for a long time. Researchers from the University of Malaya, Kuala Lumpur now suggest that edible fungi may also be the key to mitigating the likes of dementia. They report that certain edible and medicinal mushroom species yield extracts that contain rare and exotic compounds. Both in vivo and in vitro tests performed on these natural chemicals demonstrated positive effects on brain cells. Their findings led the researchers to conclude that these mushrooms can be considered as functional food specifically for the attenuating of neurodegenerative disorders like dementia and AD. Traditional medicine has had a long-held belief in the health benefits of eating mushrooms, something that the aforementioned study supports. Mushrooms are a great source of vital nutrients, including dietary fiber, protein, complex carbs, vitamins D and B, antioxidants, and various minerals. Better yet, they are low in fats and calories, which makes them ideal for people on a diet. Reishi – Also known as Lingzhi in Chinese, this mushroom is regarded as a superfood because of its many health benefits. Aside from being effective at lowering cholesterol levels, it also has anti-fungal, antibacterial, and anti-cancer properties. Studies suggest that it may also help alleviate the symptoms of Alzheimer’s disease and prevent its progress thanks to its neurogenetic effects. 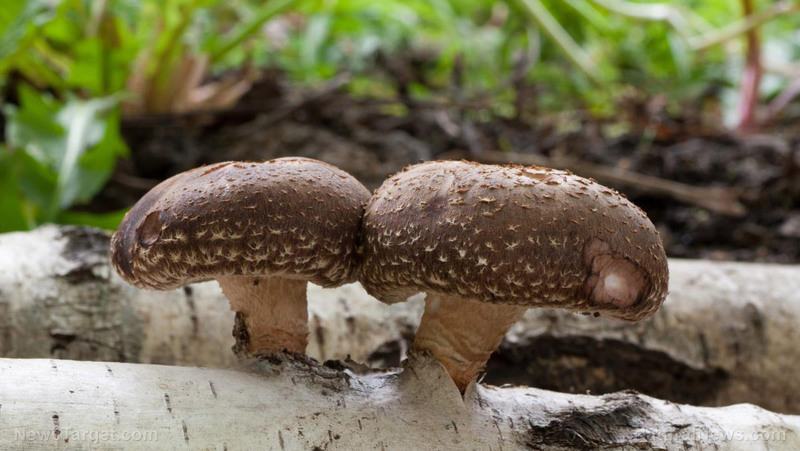 Shiitake – This mushroom plays a significant part in Japanese cuisine. Just like reishi, it helps lower cholesterol and has antibacterial properties. It is also rich in antioxidants and compounds that inhibit the growth and spreading of tumors. Maitake – Another Japanese mushroom, this fungus is known for its antiviral and anti-cancer properties. It helps prevent diseases and infections by giving the immune system a boost. It also helps in controlling blood sugar and cholesterol levels. White button – The world’s most commonly consumed mushroom is loaded with nutrients. It has vitamins B, C, and D, as well as a host of antioxidants and minerals that include heart-friendly magnesium and folate, and immunity-boosting zinc. Cordyceps – This mushroom is rather uncommon even among fungi, but it packs plenty of health benefits. It is a gently stimulant that effectively restores energy and lowers fatigue. It is widely available in various forms – it can be added to soups or stews, but it can also be taken as a liquid or capsule supplement. Discover natural treatments for both body and brain at BrainNutrients.news.